Queen Latifah was also on hand—the actress won Outstanding TV Movie or Limited Series for HBO’s Bessie. “It’s always great to be honored by people who respect who you are and respect your work,” she began. “And my great cast. Thank you for letting me kiss on you and touch you. You’re welcome.” Taylor Swift made a surprise appearance to present the Stephen F. Kolzak Award to OITNB’s Ruby Rose, prompting all the people with tables in the back to rush to the front for a better view. Rose, meanwhile, handed Swift her jacket to hold while she speechified. 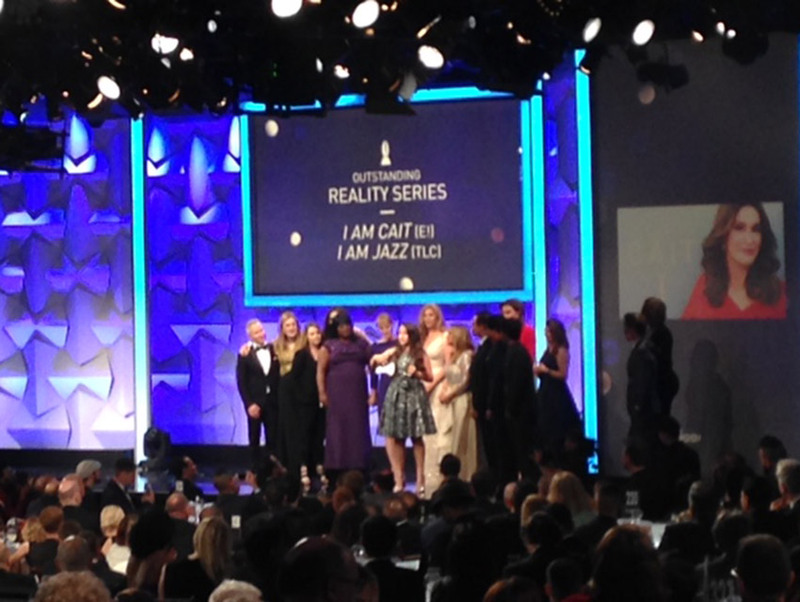 The category for Outstanding Reality Series resulted in a tie, with E!’s I Am Cait and TLC’s I Am Jazz both winning top honors. “What a year it’s been!” Jenner exclaimed. Ross Mathews hosted (he was great), and presenters included Patricia Arquette, NeNe Leakes, and Lea Michele. Demi Lovato sang Stone Cold before pal Nick Jonas presented her with the Vanguard Award. “People deserve to love who they want to love,” she said. The GLAAD Media Awards will air on Logo tonight at 10 p.m. ET/PT.